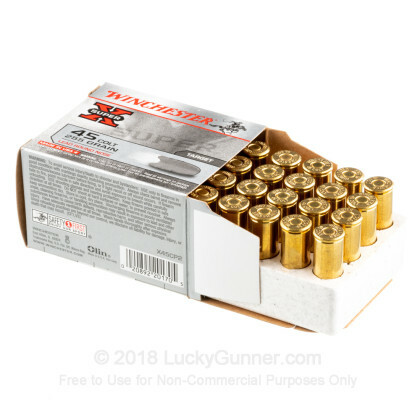 Looking for 45 Long Colt? 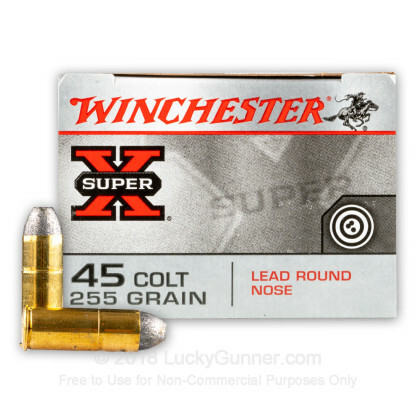 This hard to find top of the line Winchester Super-X ammo is reliable and accurate. 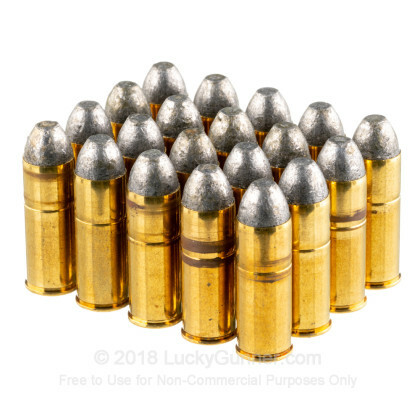 It is excellent for target practice or plinking. 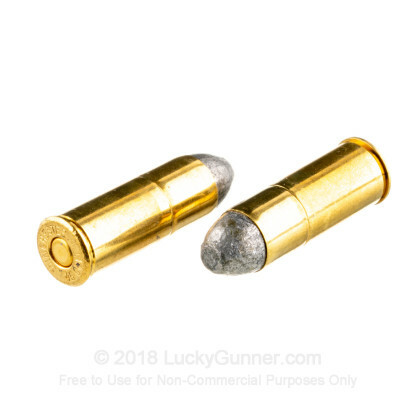 This cartridge works well in the new Taurus Judge revolver! i own a few .45 revolvers, from the ruger blackhawk to black powder conversions, and i use this in all of them. with a muzzle velocity of 860 fps, it's right at the recommended upper limit for the conversions and a nice easy load in a ruger. best of all, it's clean and accurate. 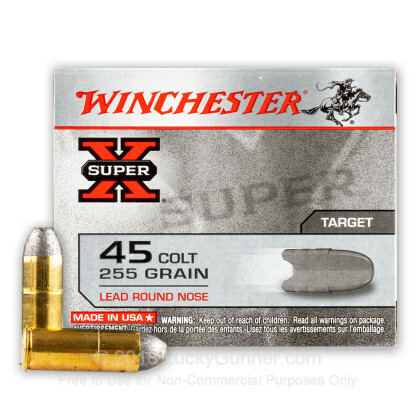 Used this for practice ammo in my Super Comanche pistol. highly recommend this ammo. Didn't have a single problem with a single round. Don't recall all the ammo I've purchased from you, but I've had no difficulties with any of it. Everything has arrived as ordered and in a timely manner. The packaging is excellent and undamaged. 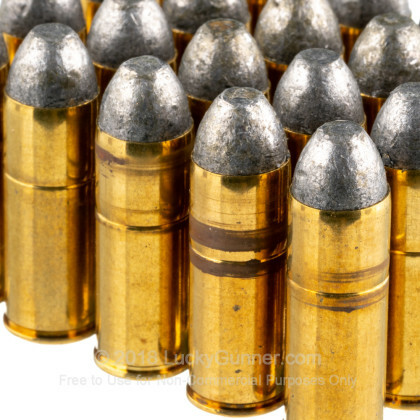 I have recommended Luckygunner.com to family and friends and I will continue to do so. I shot the .45 Long Colt in both my Henry Big Boy and my S&W Governor with excellent results and accuracy. Nothing more needs to be said.